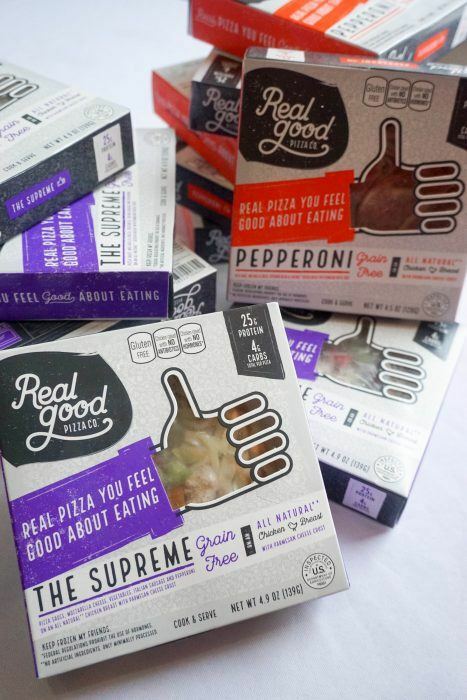 We finally got our hands on a couple boxes of pizza from the Real Good Pizza company and have put them to the test. 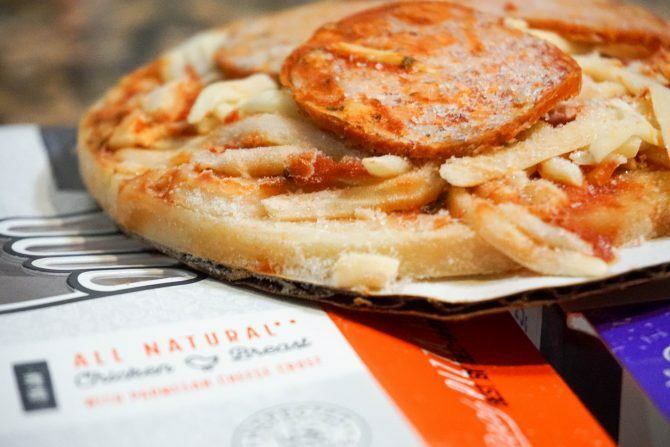 If you’re looking to make an order, use our Real Good Pizza coupon code KETOCONNECT for 10% off! If you haven’t heard of Real Good Pizza before then it’s important that we touch on a few of the features that set them apart from the rest. 4g of Net Carbs per pizza! 25g of Protein per pizza! 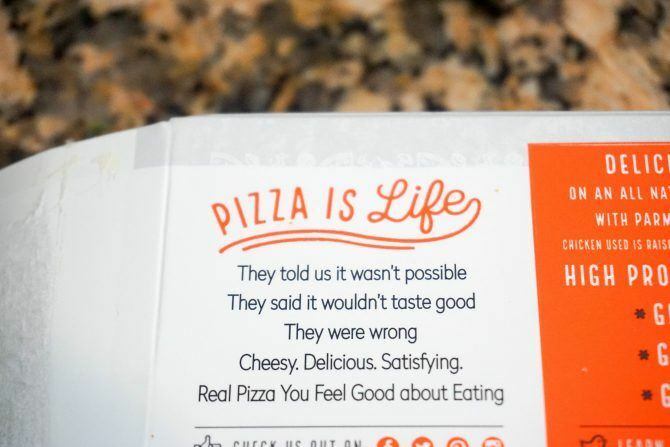 Is Real Good Pizza…Real Good? 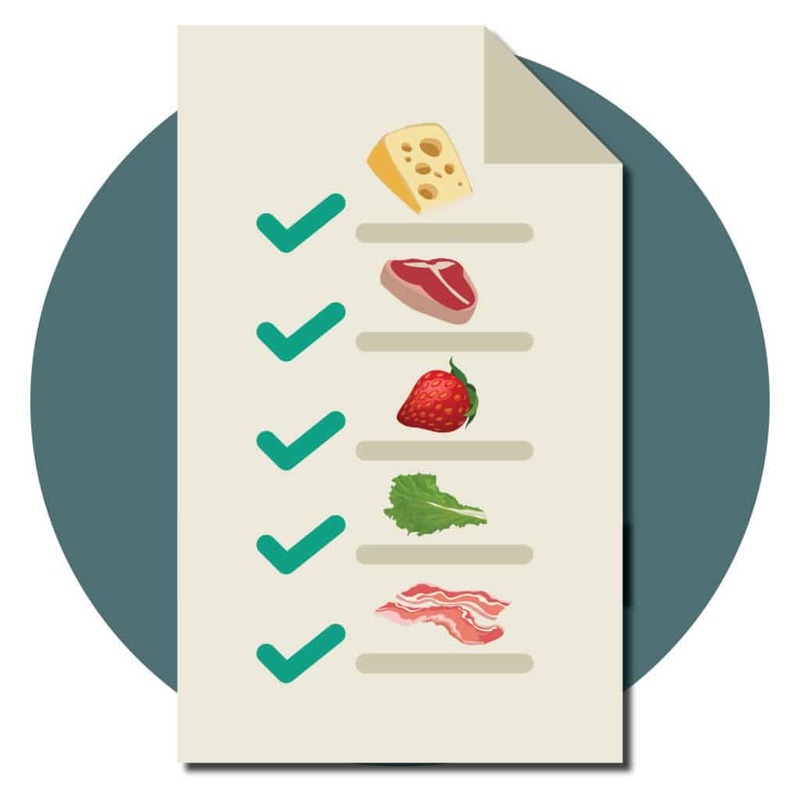 Promo Code: KETOCONNECT for 10% off! These mini pizzas taste amazing! This makes the short list of best keto packaged foods we’ve ever had. If I didn’t know that the crust was made of chicken(and parmesan cheese) before I dug into the pizza I probably wouldn’t have even noticed. It tastes like a really good frozen pizza. We got a chance to try 2 of the 3 flavors. Pepperoni and The Supreme. I’d give The Supreme flavor a slight edge on overall taste, but they were both tasty. There isn’t much negative to say about the taste. If I had to reach for a complaint it would be that the crust didn’t get as crispy as I’d like. If the taste wasn’t enough to convince you, this is the real standout feature of Real Good Pizza. The nutrition is as legit as it gets! I love that their ingredients list starts with “INGREDIENTS WE ARE PROUD OF”. They stand behind their ingredients and why wouldn’t you with such an impressive list. The crust is made of 2 ingredients, chicken and parmesan cheese. The toppings are all natural, grain free, hormone free and no added sugar. Basically every check box you could possibly be looking for, these pizza’s pass. This is one of the few keto packaged products that you can confidently eat with absolutely no guilt or concern. After doing an in depth look at the nutrition and ingredients, I glanced over the rest of the packaging(which is very nice). I noticed that the preferred preparation method was the microwave! To some people that might be a negative because they are afraid of the nutrient eating boogie monster that lives above the stove. Me? I see that as a big plus. Just for the sake of science we did a double blind taste test on 2 pizzas to see which method we preferred, oven or microwave. The outcome was a split decision! I preferred the microwave while Megha opted for the oven baked pie. The point is, it was a close decision. In my mind that means you’re going to end up going microwave every time since you can be digging into a delicious pizza in 2 minutes flat! Now how much are these delicious, guilt free pizzas going to cost you? Price with Promo Code: KETOCONNECT for 10% off! If you go for the large order and use the Real Good Pizza coupon code KETOCONNECT you come away with some very reasonably priced pizzas. If however, you don’t decide to dedicate a wing of your house to the storage of frozen pizzas, the price is on the high side. Granted, you are getting top quality ingredients in a delicious and convenient package, so the price is probably justified. 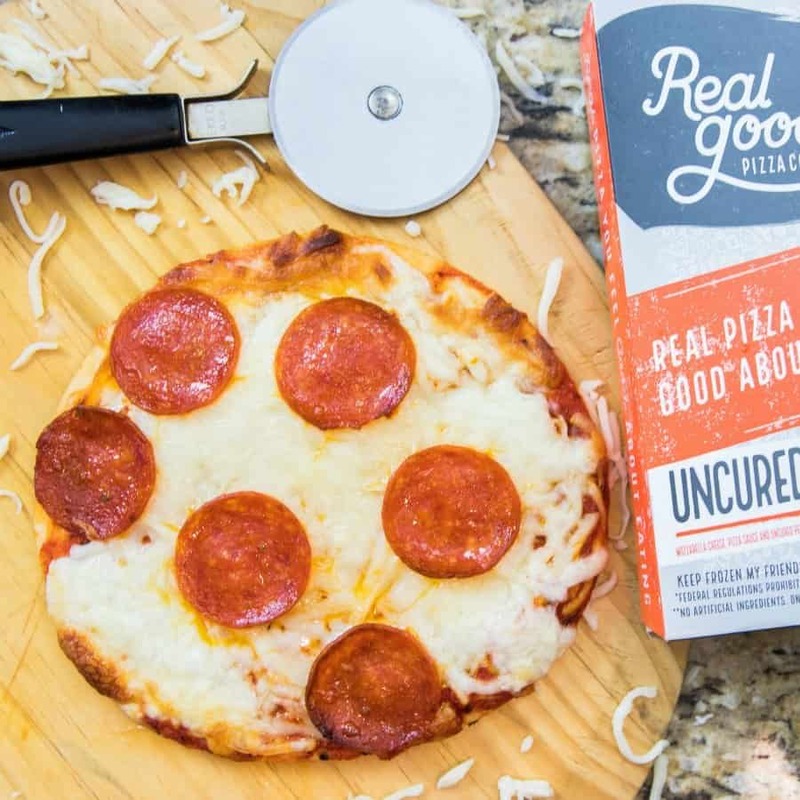 If you’re a budget keto-er then you’re better off settling for some homemade fathead pizzas, but if you can swing it, we’d highly recommend giving Real Good Pizza a try. The only real negative here is that the price can be prohibitive, but that is to be expected with ingredients of this quality. Aside from price Real Good Pizza knocked it out of the park. This is one of the best keto packaged snacks we’ve ever tried. Give it a try for yourself and let us know what you think!